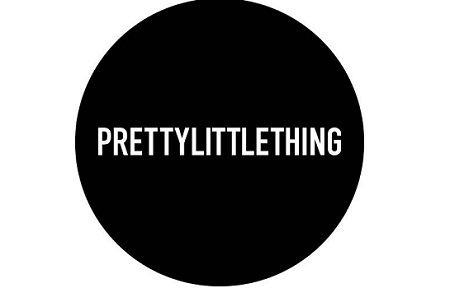 PrettyLittleThing has partnered with Narvar, a technology company helping retail brands deliver premium post-purchase experiences. PrettyLittleThing has seen greater customer loyalty since adopting the platform. PLT’s work with Narvar comes as part of its wider focus on building customer lifetime value through improving the post-purchase experience. To date, Narvar’s role in PrettyLittleThing’s post-purchase improvement journey has centered on its post-purchase communications. Before working with Narvar, PrettyLittleThing directed customers to third-party websites for delivery updates. These communications were unbranded and purely functional, meaning they did little to engage or delight customers who had just purchased. What’s more, passing on delivery communication responsibilities to external carriers meant the experience customers received after the buy button was out of PrettyLittleThing’s control. Now, using Narvar’s enterprise-grade SaaS post-purchase platform, PrettyLittleThing customers receive proactive, convenient, engaging and branded delivery and tracking messages – via the communications channel of their choice. PrettyLittleThings focus on improving the post purchase experience for its customers has already resulted in tangible gains in both customer satisfaction and brand loyalty: the rating that PLT customers assigned to its overall post-purchase experience increased by over 30% and the average time to next purchase reduced by 57%. By taking control of the post-purchase experience, PrettyLittleThing has enjoyed greater engagement from customers who have made a purchase. Branded delivery communications have brought customers back to the retailer’s website, boosting site visits - which previously would have gone to external carriers’ sites. The retailer also enjoyed a 44.3% Marketing Engagement Rate vs an industry benchmark of 14%. This incremental brand engagement and the resulting additional revenues were key to PrettyLittleThing seeing a massive 24x Return on Investment (ROI) in just 5 months since working with Narvar. With its core audience in the 16-24 age bracket, PrettyLittleThing also realised it needed to expand the number of channels to communicate delivery updates to customers. To meet the experience expectations of increasingly mobile-first customers, PrettyLittleThing now offer SMS delivery notifications, which the retailer has seen high opt-in rates for. With Narvar also offering customer care via Chatbot, Facebook Messenger or Voice-Assistant (e.g. Alexa, Google Home), PrettyLittleThing is now considering extending the number of channels on which it communicates with customers. Anthony Gavin, EMEA Director, of Narvar said: “Brands and retailers which fail to recognise the importance of customer experience beyond the buy button are missing a trick. The post-purchase experience that customers receive is fundamental to keeping them engaged and turning one-off sales into loyal customers.